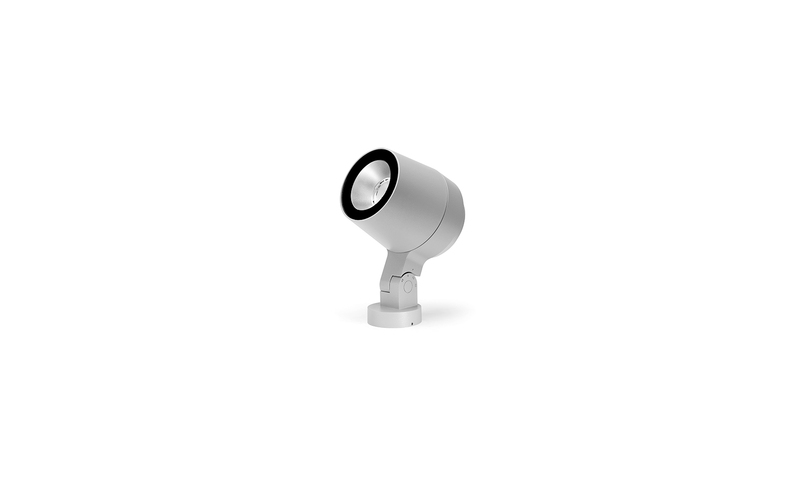 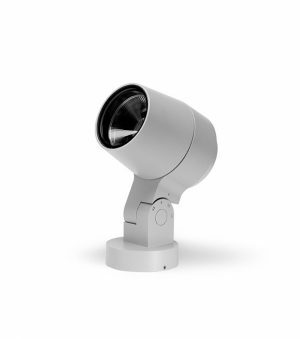 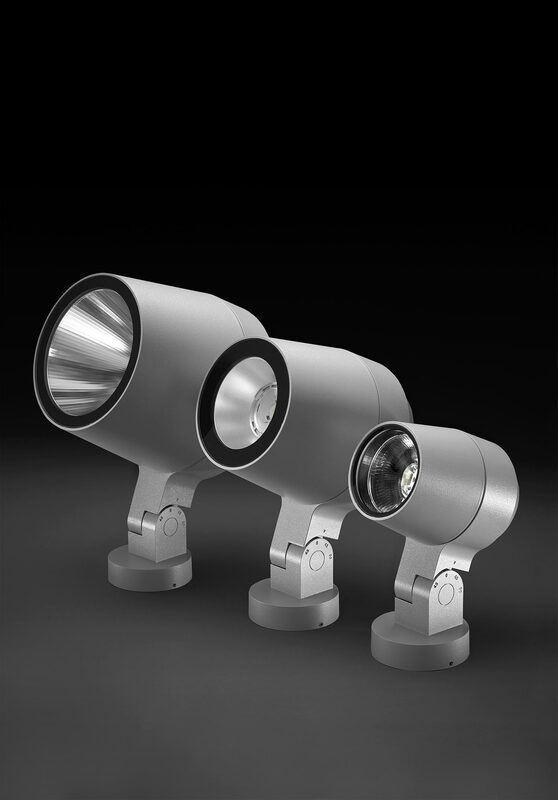 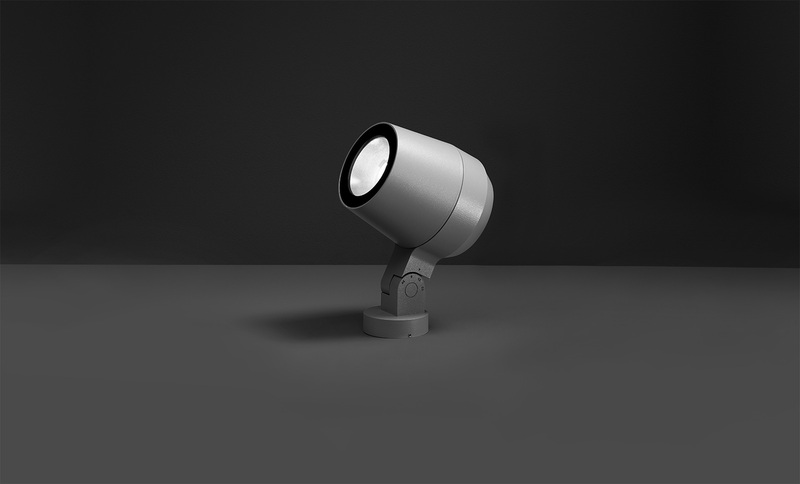 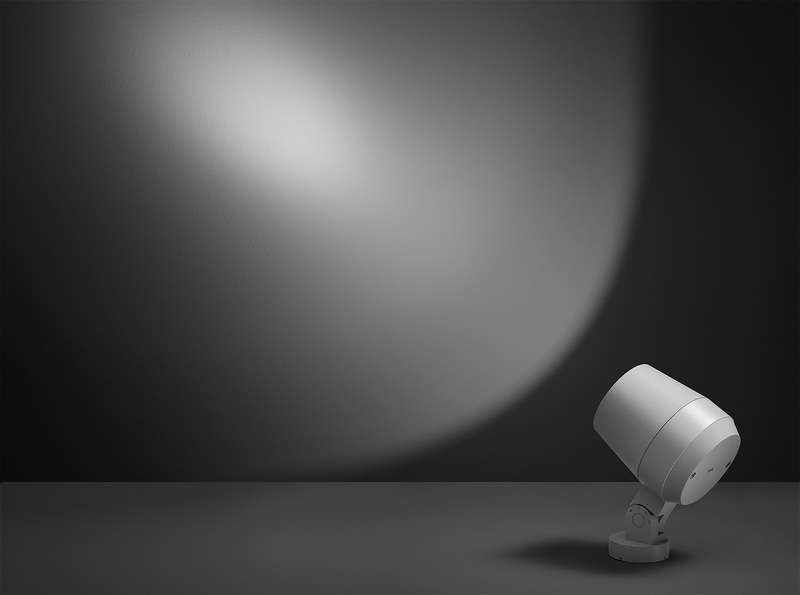 Floodlight for outdoor installation on a façade/wall, with 355° swivel base and allowing horizontal adjustment of +90° / -40°. 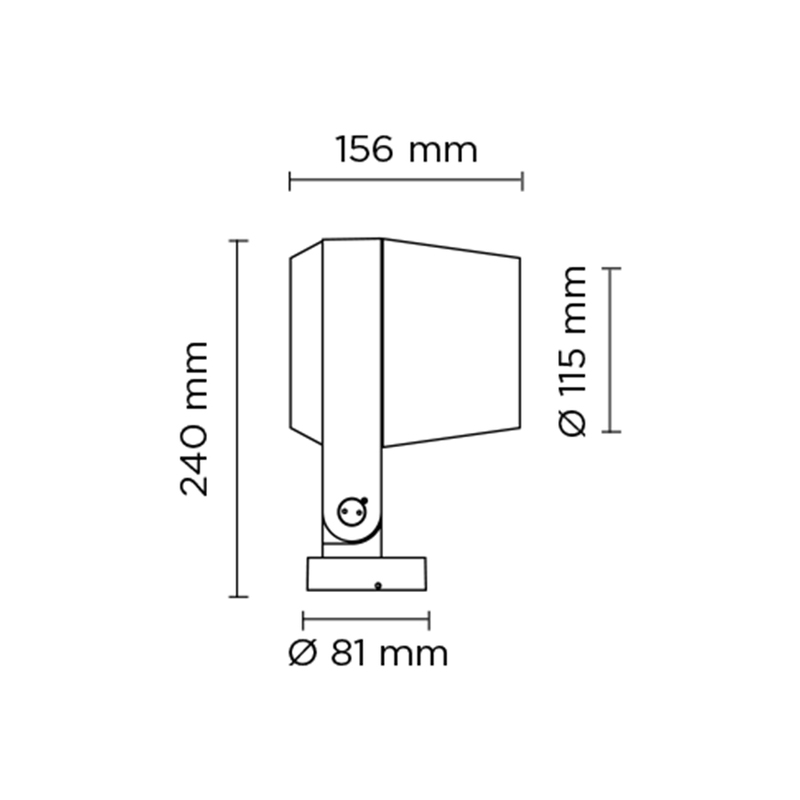 Phospho-chromatised and polyester powder coated die-cast copper-free aluminium base and head, tempered safety glass, moulded silicone gaskets and o-rings, with screws in stainless steel. 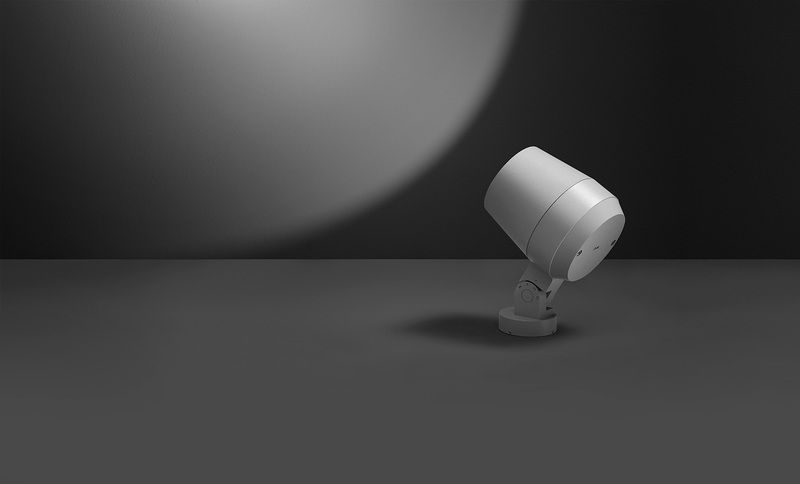 Swivel joint with graduated scale and mechanical aiming lock. 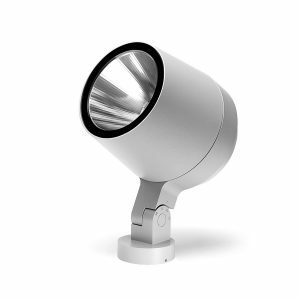 Built-in LED driver, with 1 COB CREE “CXB 1512” LED. 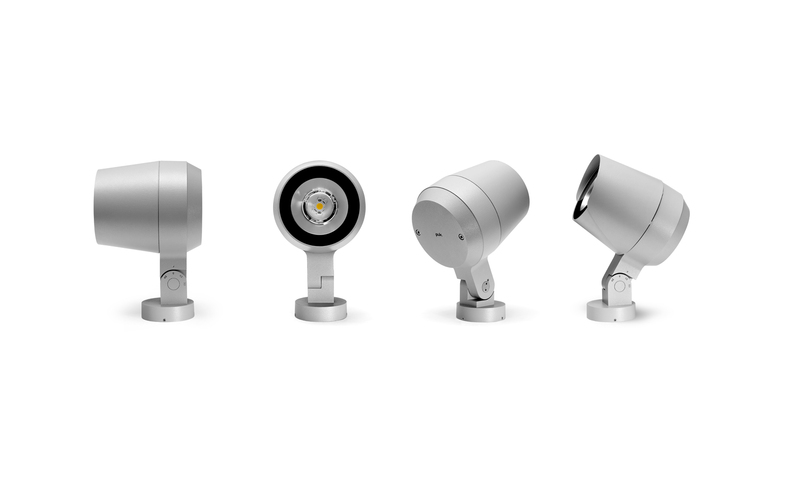 IP66 rating.